SpaceX is test launching its Falcon Heavy rocket, the first ever launch of the new heavy-lift orbital rocket. The Heavy’s thrust is generated by its 27 Merlin engines, which is three times the number of engines you’d find in the current Falcon 9 rocket. Update: After a few delays due to high winds, the launch is currently scheduled for 12:45pm Pacific. The livestream above should start about 15 minutes before that. That amounts to over 5 million pounds of thrust, and a total cargo capacity of around 119,000 pounds. That gives it more than double the total freight moving power of its next closest competitor. In fact, the last active rocket with a greater payload capacity was NASA’s Saturn V rocket, which flew its last mission in 1973. It won’t be carrying anything all that heavy this time around, however – the payload for this first test launch is a Tesla Roadster, loaded up with a dummy wearing SpaceX suit for its planned Dragon crew missions, and destined for a large, elliptical Mars orbit. 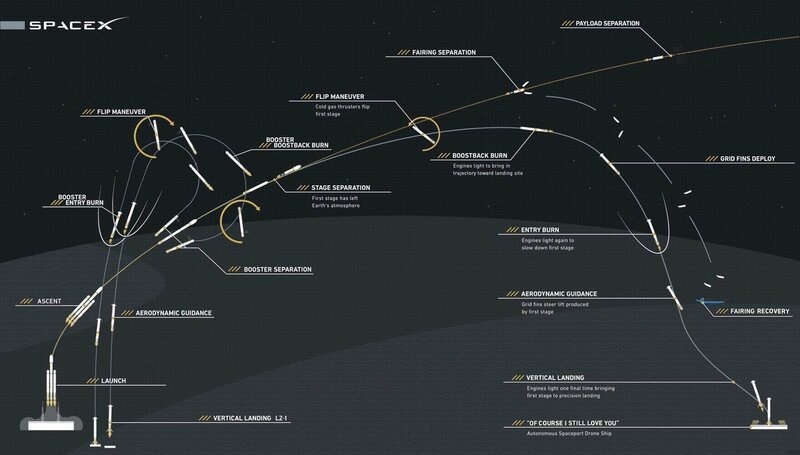 After launch, Falcon Heavy’s boosters will also make a return journey, with two landing at LZ-1 and LZ-2 on land at Cape Canaveral Air Force Station, and with the third, central booster coming back to SpaceX’s ‘Of Course I Still Love You’ drone landing barge. The two side cores used for the launch are also flight-proven boosters, meaning they were flown previously as Falcon 9 first stage rockets for missions run by SpaceX in 2016, which were then refurbished and assembled for this purpose. The launch is set for 1:30 PM EST (10:30 AM PST), with a window that spans two and a half hours and closes at 4 PM EST. There’s a backup window set for the same time on February 7, should they have to scrub for any reason. The live stream above will begin around 15 minutes prior to launch, or around 1:15 PM EST.